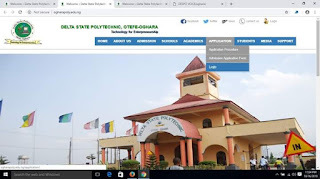 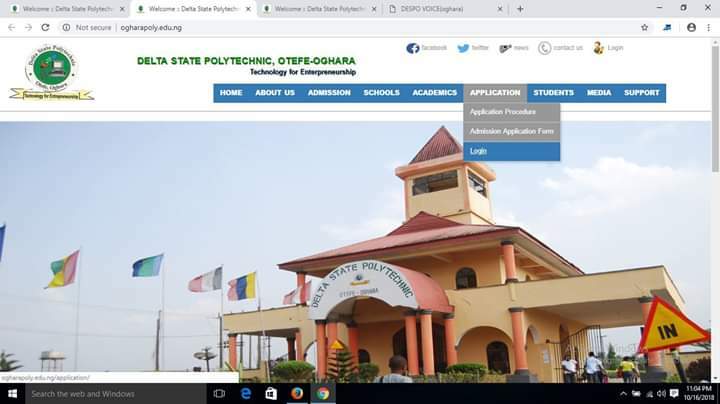 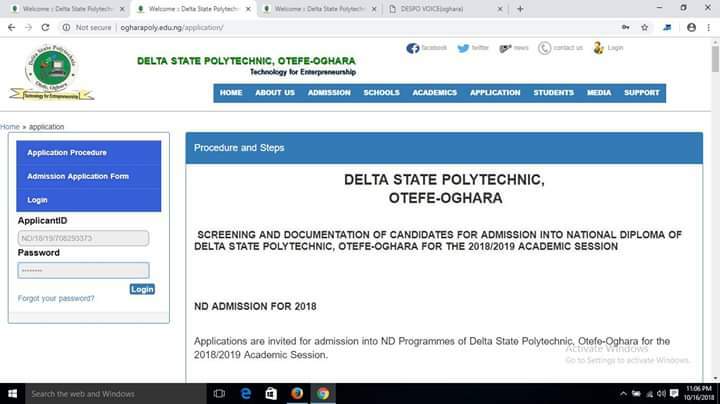 To check your admission status into delta state polytechnic Otefe Oghara, follow the steps outlined below. 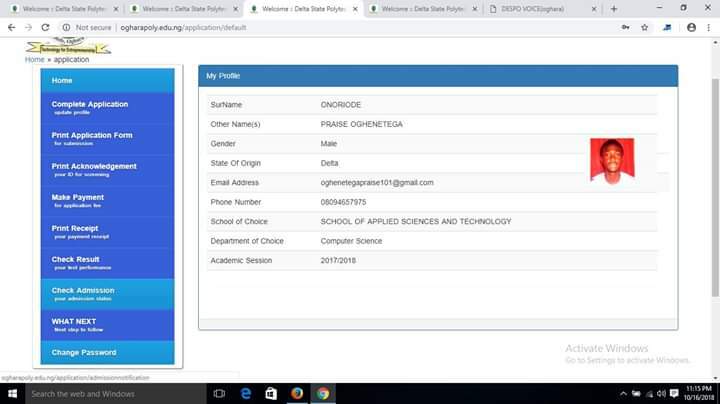 3 Click on the "Application" Options and a drop-down box will display, select "Login"
5. 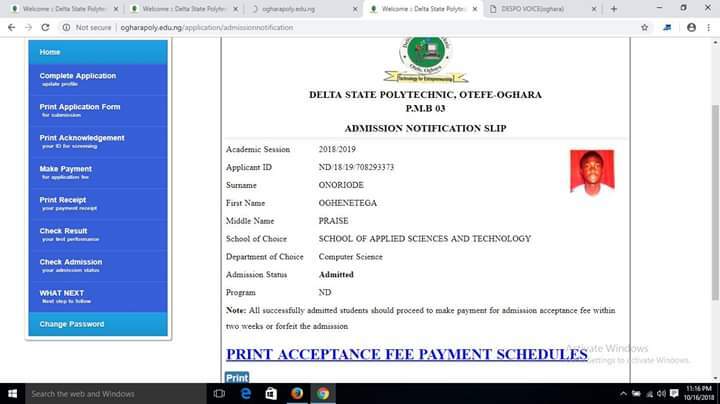 Look through your left hand side, you'll find a list of items, select and click on "Check Admission" to display your admission status.